The Buddhist spiritual leader said the feudal system has gone and the totalitarian system has no future. 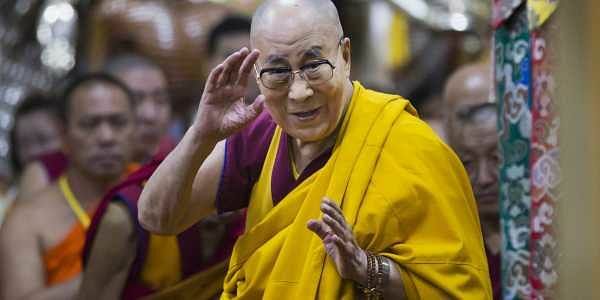 BHUBANESWAR: Tibetan spiritual leader Dalai Lama criticised the Chinese Government for its censorship and said any policy based on distorted information has no future. Addressing the audience at KIIT University here on Tuesday, the Nobel Peace Laureate said the censorship policy of China is morally wrong. “Every citizen of China has right to know the reality. Once they know the reality, they will have the ability to judge what is wrong and what is right. Censorship and restricting people's movements are totally wrong and immoral as those limit their creativity,” he said. The Buddhist spiritual leader said the feudal system has gone and the totalitarian system has no future. According to Marxism, working class people are important for a society and not the exploiters, he said. “Even the hardliners among the Chinese communists now have begun to think on the possible ways to tackle it. Over the last 60 years, they used various methods including torture, killing, brainwashing and bribing. They are spreading false propaganda and consider me as a demon,” he laughed off. Appreciating India's ancient tradition, the Tibetan leader said it should now be revived in modern India as a part of an academic subject, not as a religion. On the Ram Rahim episode, he said it was disgracing. "Sometimes the monk and gurus become like that. I think these are weak people. We have to decide whether we should accept religion or individuals. Once you accept religion, you must utilise human intelligence, investigate, experiment, but do not accept anything through blind faith," he clarified. On the caste system, he said, "We cannot make a distinction on the basis of faith, nationality and the caste system. I feel the caste system is created by the feudal system. The landlords, including the Rajas, created upper caste and lower caste in order to exploit people. It is undemocratic,” he said. Responding to a question whether he wants to set up a Bipasana centre at Bhubaneswar, The Dalai Lama said he is working on a different project for the last ten years to strengthen the education system.